Height: 54 cm / 21 in. 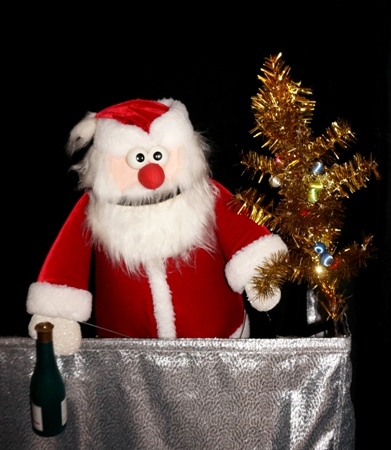 SANTA CLAUS - hand puppet in The Muppet Show style. First presentation - December 25, 2000, Concert Hall "Salyut". This puppet is made specially for Christmas and New Year shows.